Use these sample interview questions to evaluate and recruit candidates for seasonal jobs. The fact that you’re hiring employees for a fixed period of time, and not permanently, doesn’t mean you should rush the recruiting process. On the contrary, given that you have limited time for training and onboarding, make sure to hire people who can best manage job duties. 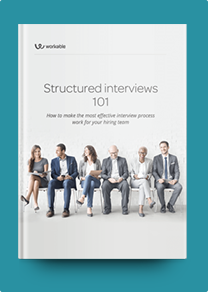 Prepare and ask targeted interview questions to gauge candidates’ skills and make objective hiring decisions. Why did you apply for this position? How do you think your profile fits aligns with the job requirements? Are you familiar with our products/brand? What are your professional plans after the season is over? Are you available to work X hours per day, Y days per week, including Z weekends per month? This position requires working morning and evening shifts in rotation. Are you available? How would you respond to a customer who complained loudly that they couldn’t find a specific product on our shelves? Imagine that two customers are having a fight over the last item and are causing a scene in the store. What would you do? What do you like most about working in [industry]? Describe a time when you had to attend to multiple clients at the same time. How did you remain calm? What would you do if a customer approached you with questions right before the end of your shift? What do you think is more important: providing excellent customer service to one client to increase their satisfaction or serving as many clients as possible in minimum time, even if you sacrifice quality of service? What would make you quit a job in the first week or month? Be transparent about work conditions. Regardless how detailed your job ad is, clarify the working schedule again, during interviews. Mention what the position entails (e.g. work during weekends) and verbally ask applicants whether they’re available. Set expectations early, so that future hires don’t get caught by surprise and leave in the middle of your peak season. Evaluate candidates’ soft skills. Use soft skills interview questions to understand where each candidate fits in your company. For example, people with a customer service approach will likely make good salespeople, while those who are well-organized should take on administrative jobs. Also, opt for candidates who are flexible, as they will be able to adapt to new work environments quickly. Look for culture fit. Seasonal employees don’t just fill temp needs; they are advocates for your brand. Keep an eye out for candidates who understand your business objectives and share your values. For example, if you prize delivering great customer service, look for candidates who’ll go the extra mile to address clients’ queries. They get stressed easily. If you’re looking for retail employees during holidays, hire people who can handle hectic work environments. Use role-playing activities and ask questions like “What would you do if multiple customers approached you with questions at the same time?” Candidates who struggle to remain calm or give unrealistic answers are less likely to manage job challenges. They can’t relocate or work the hours you need. Seasonal jobs often require working long hours or staying in a different place (e.g. if the position is at a seasonal resort.) Before inviting candidates to interviews, conduct phone screening calls to identify which applicants fulfill the minimum job requirements and can commit to stay with your company during the entire season. They need more training than your onboarding offers. Seasonal employees usually need to be trained fast. But, many seasonal jobs are entry-level, so recruit beyond just experienced candidates. It’s best to hire people who are willing to be trained on-the-job. Also, keep an eye out for candidates who are already familiar with your brand; you will spend less time training them on your products and services.